Adding an Automation Workflow to your stream will allow you to trigger marketing activity when one of your contacts returns and is added to a stream. 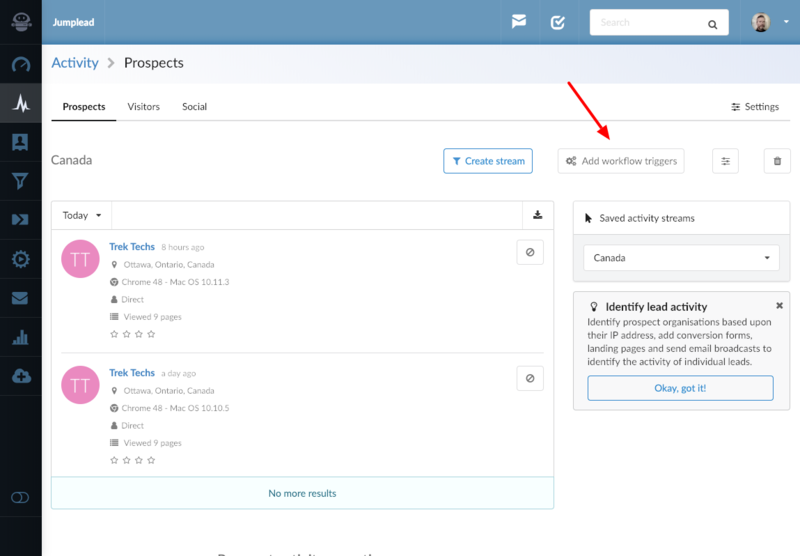 For example, you might want to receive a notification when a contact returns and views your pricing page or add a tag for segmentation. Select the Stream you would like to add an Automation Workflow to from the dropdown menu on the right, then click the 'Add workflow trigger' button on the right hand side of the page. 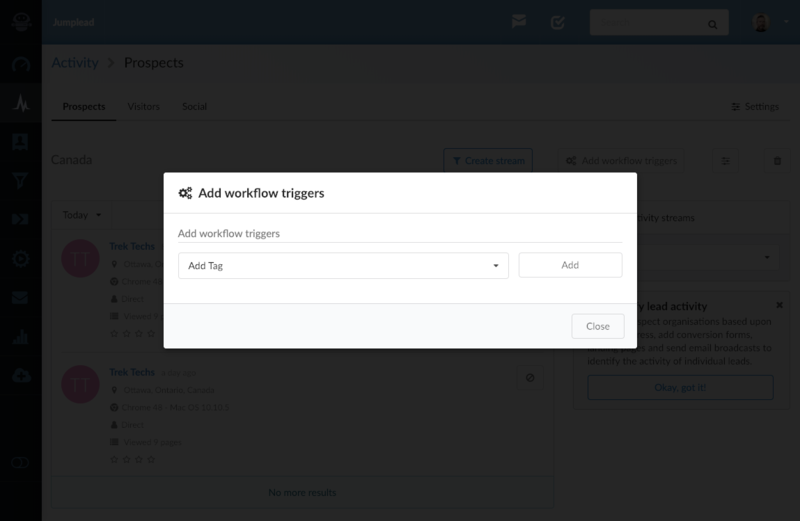 You can now select any one of your existing Workflows to trigger. Alternatively, if you have already created your Activity Stream you can then create a new Automation Workflow to send a notification, add a tag, or whatever else you wish to do. And choose your existing Activity Stream as the Trigger action.